Heartbleed wasn't just an interesting Internet security story. It was a sign that one of the most fundamental building blocks relied on by many large companies was significantly flawed. Even more staggering was the revelation that the OpenSSL open source code library, that is responsible for SSL communications between systems, had another flaw that went undetected for over a decade. OpenSSL is an open source code library. It is used by applications that use SSL and TLS to encrypt communications between systems. In simple terms, when communications are encrypted an application refers to the OpenSSL library to ensure that the communications have been correctly encrypted. Unfortunately, there was a flaw in OpenSSL's logic that made it possible for a malicious party to access data that users thought was secured. This included private keys, session cookies and passwords. Heartbleed is listed in the Common Vulnerabilities and Exposures system as CVE-2014-0160. This is a widely used system for tracking information security issues. 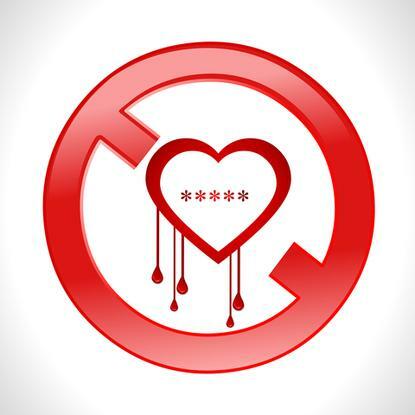 There's no doubt that Heartbleed is a significant issue but it is worth noting a few things. Not all SSL and TLS traffic is at risk. The Heartbleed issue is not the result of a bug in the SSL and TLS protocols. So, only systems using OpenSSL are affected. These account for about 17% of the entire Internet making Heartbleed the most widespread security bug identified. That means servers and applications running software made by Microsoft were not vulnerable to Heartbleed as they use a different code library for securing SSL and TLS communications. Similarly, applications using GnuTLS and Mozilla's Network Security Services, are unaffected. And although Heartbleed was identified at about the same time as the Apple "GoTo Fail" bug, that was an unrelated flaw in Apple's SSL/TLS validation code. Another bug in OpenSSL called the CCS Injection Vulnerability, designated CVE-2014-0224 in the OpenSSL bug tracking system, was identified in June 2014. Like Heartbleed, it affects one in every six servers on the Internet and, potentially hundreds of millions of users as OpenSSL is used by some of the most popular sites on the Internet. Incredibly, this flaw was present in OpenSSL for about 15 years. To understand what risks the Heartbleed presents to your business it's important to understand what the problem really is. Heartbleed is the name of a specific flaw that was found in the OpenSSL library of open source programs. This library of programs provides programs and systems with a way of using the SSL and TSL communications protocols. This distinction is important, as it's OpenSSL and not the protocols themselves that are flawed. Many programs send a repeated signal to systems that they operate with so that the other system knows everything is working correctly. This is called a heartbeat. Think of it as being like the bing a cardiogram machine makes in a hospital telling everyone that the patient's heart is beating correctly. Heartbleed is a memory-handling flaw in the OpenSSL software that allows up to 64kb of data to be intercepted with each heartbeat. In other words, there was a small data "bleed" with each heartbeat. Hence the name, Heartbleed. By reading this piece of data, hackers could eavesdrop and capture information such as passwords, private encryption keys and other data that could then be used to compromise systems. For example, if a malicious party exploited Heartbleed to capture an encryption key they could use to execute a man-in-the-middle attack to capture and decrypt data. If a website used a cookie that was protected with SSL when used in communications between a user and a server, that cookie could be intercepted and the user's identity for that service could be hijacked. For example, if a user was accessing a business system that used OpenSSL, a hacker could steal the cookie and then log-in to that system using the data in the cookie and carry out some malicious activity, pretending to be the exploited user. What does all this mean? Any system that relied on OpenSSL to secure data transmission using SSL and TLS was vulnerable to attack. Once a malicious party had access to the data that leaked through Heartbleed, they could use it infiltrate systems and exfiltrate data. How did Heartbleed happen? After all, it's an open source code library that is looked at by many people. Surely someone must have noticed that there was a problem? There's a maxim in open-source development that says "given enough eyeballs, all bugs are shallow". In other words, when there are lots of programmers involved in a project, as is the case in open-source development, bugs are found and remedied quickly as the number of people looking at the code is so large. Hear from Ajoy Ghosh(GM Security & Risk @ Transport for NSW) on "the State of Security Intelligence"
The CCS Injection Vulnerability was discovered in June 2014. According to a security advisory issued by Zimbra "an attacker using a carefully crafted handshake can force the use of weak keying material in OpenSSL SSL/TLS clients and servers. This can be exploited by a Man-in-the-middle (MITM) attack where the attacker can decrypt and modify traffic from the attacked client and server". The important thing to note about the CCS Injection Vulnerability is that is requires both the server and the client to be running versions of OpenSSL that have not been patched against the vulnerability. So, if either party involved in the SSL/TLS-encrypted data exchange has been patched against the vulnerability then the flaw cannot be exploited. In that sense, while a significant issue, its impact is not likely to be a great as Heartbleed's. How do you know if you're Vulnerable? Any system that is using an unpatched version of OpenSSL is vulnerable to Heartbleed and the CCS Injection Vulnerability. A fix for Heartbleed was issued on the same day that it was made public. The patched version is designated 1.0.1g. One of the challenges that you're faced with when looking at Heartbleed and the CCS Injection Vulnerability is understanding where your points of weakness really are. If you have developed or deployed your own systems using OpenSSL then you need to patch them. Third party applications and some operating systems are also vulnerable. For example, Red Hat Enterprise Linux was affected but patches were issued by Red Hat. Similarly, some versions of SUSE Linux were also affected and have been patched. As well as reviewing your internal systems, it's critical that you check all of your key service providers. By now, most major SaaS providers have updated their systems. But carrying out thorough due diligence means checking more than just paperwork. You should carry out your own testing of external providers. There's a handy detection tool, created by Trend Micro, so you can test your service providers for Heartbleed vulnerability. Although end user systems weren't the primary focus of Heartbleed that doesn't mean they weren't vulnerable. Systems running Windows aren’t affected as they don’t use OpenSSL. Apple's OS X was similarly unaffected but for different reasons. Although OS X, which is based on Unix, uses OpenSSL, it uses version 0.9.8 rather than the vulnerable 1.0.1. Android devices running 4.1.1 carry the Heartbleed flaw unless they've been specifically patched. Lacoon Mobile security has produced a video showing what it looks like when Heartbleed is exploited on an affected Android device. If the recent flaws that have been detected in OpenSSL have left you feeling a little bruised then perhaps you're open to considering some alternatives. However, it's important to note that while a shift away from OpenSSL may be warranted in your organisation, it doesn't abrogate your need to test and verify. As the Heartbleed and CCS Injection Vulnerability flaws were not in the TLS and SSL protocols but in how OpenSSL implemented them, it's possible to consider alternatives for using these protocols. One is GnuTLS. It's also open-source, like OpenSSL, but implements the SSL and TLS protocols differently. There's an API for applications to hook into so it could be a viable alternative, albeit one that will require significant software engineering to implement in some cases, for companies considering a shift away from OpenSSL. Another is Network Security Services (NSS) that is released under the Mozilla Public License. A number of popular open source and commercial applications use NSS such as Chrome, Open Office, Apache and Java. Then there's the Microsoft stack of server and communications products. These provide another alternative as they use Microsoft's own implementation of the TLS and SSL protocols. One advantage of this solution is that Microsoft has an established process for releasing fixes and patches on Patch Tuesday each month. However, this might require a platform shift that could be prohibitively expensive and complex. Heartbleed was an important milestone in information security. Although it caused massive disruption as companies scrambled to patch vulnerable systems and forced users to change passwords it can be viewed as opportunity to take stock and learn. The reality is that many of the building blocks of our systems that rely on need to be reconsidered. OpenSSL was used by millions of people for many years. It will remain a significant part of many organisations' systems or many years. But we can no longer expect that it will be secure. Any open source code that is being used in companies needs to be reviewed with a hacker's point of view, looking for potential security issues rather than whether the software satisfies functional requirements. The entire development and testing process needs to be overhauled so that security is in the foundation and not an afterthought. And, if necessary, it might be time for businesses to remove OpenSSL from their environments and deploy an alternative, while maintaining a "trust, but verify" posture.